Jacob Helf, a Master’s student in Science Education, has been named this year’s winner of the Mason Fellowship, given to just one pre-service science teacher in the state. Helf, who grew up in Homewood, wants to inspire high school students to understand the world we live in. The fellowship is awarded by the Alabama Academy of Science, and it was named in honor of William H. Mason, an Auburn biology professor who passed away over two decades ago. Like many aspiring teachers, Helf saw his best examples at home growing up. As an Interdisciplinary Studies undergrad at Auburn, Helf focused on Physics, Hunger Studies, and Sustainability. But he always knew he wanted to teach. 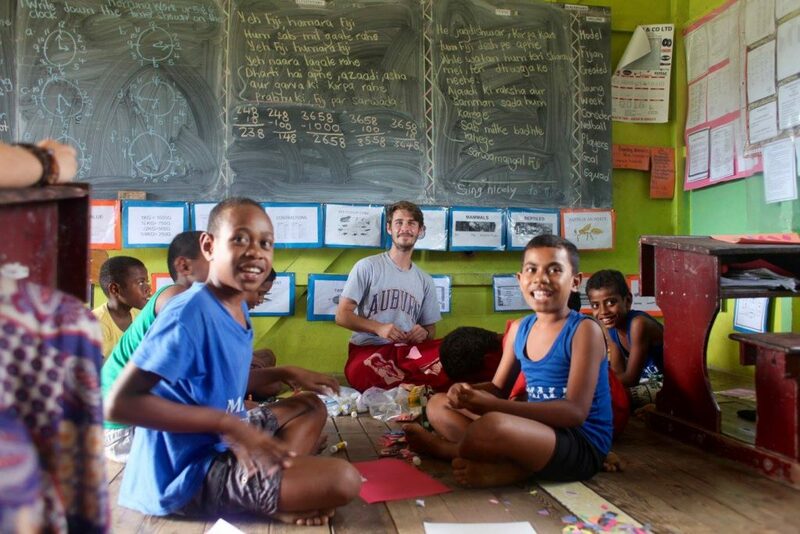 In the summer of 2016, Helf joined a dozen other Auburn undergrads on a trip to the South Pacific, where he spent time on a small island in Fiji. But it was the stories of the Islanders that were most meaningful to the aspiring earth scientist. Like so many of our students who have had international experiences, Helf feels he is better prepared to meet his students wherever they are coming from.